There is a huge ongoing debate amongst IT Pros and Sysadmins across the internet. The controversy? 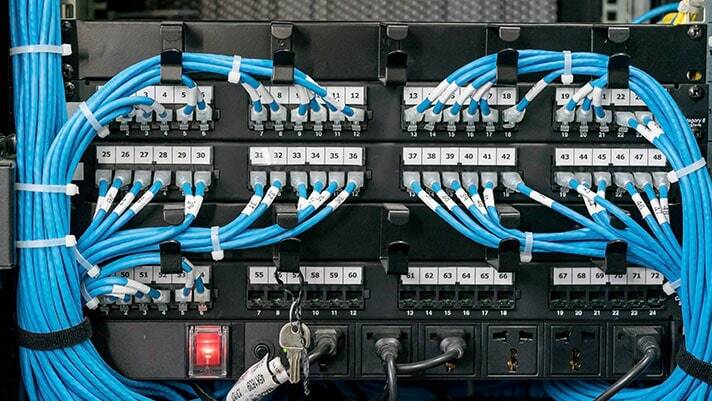 Whether it is better to use zip ties or Velcro for structured cabling projects such as cable management in a server rack. 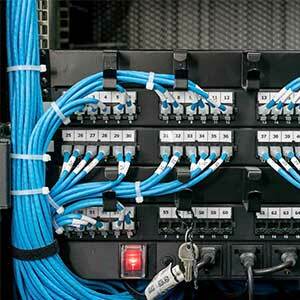 Each has the capacity to pull together cabling projects. They both have their individual strengths and positive attributes, but when do you use what? The RackSolutions marketing team investigates the ongoing controversy and settles the debate of how you should be wrapping it up once and for all. Zip ties are a perennial favorite among those in the structured cabling world. 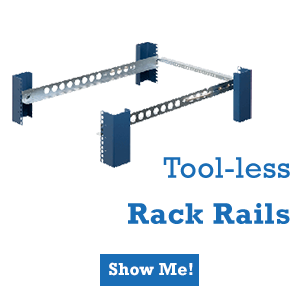 They are fast, sturdy, super easy to use, and can be purchased in large quantities for dirt cheap. 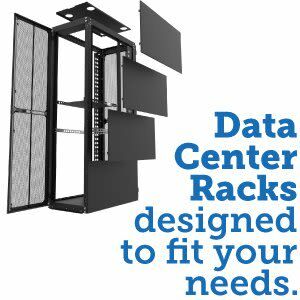 They were first intended for airplane wire harnesses, but now we’ve expanded their usage for other cabling needs, including your data centers and IT closets. 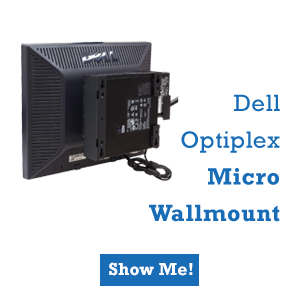 Another reason people use them is just many cabling products are designed with zip ties in mind and include small holes, lances, and tie-down points for securing the cables in place. Because of these reasons, zip ties are the most common solution used by cabling professionals, IT pros, and sysadmins alike. While they are certainly a desirable option in most use-cases, they don’t come without drawbacks. Over-tightening can cause damage to the cables over time, and they can’t be re-used. Once they are done, they have to be cut, and that’s not always easy to do. Because of this, some pros have opted for other cable tie solutions. 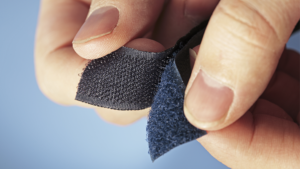 When it was invented, Velcro Brand’s hook-and-loop was intended to be the “zipperless zipper” in the fashion and textile industry. (Side note: Velcro is an actual brand, and the actual product that is commonly referred to is called hook-and-loop. Velcro’s marketing and legal teams really want you to know that, so they made a video.) Today, the scratchy, hairy, hook-and-loop fasteners we have come to know and love have gone beyond the fashion industry, and now can be found in your IT guy’s tool-kit. The downside to Velcro and other hook-and-loop straps is that, as stated before, they can cost quite a bit more. However, many professionals consider the extra cost worth it, because of the straps re-usability. 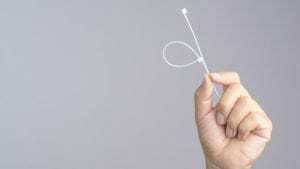 Some IT professionals have also complained that they just can’t get them to tie down as tight, or that they aren’t as easy to slip into tight spaces or those lances and tie-down points. Both! With slight favoritism toward Velcro… It really comes downs to personal preference, and more importantly, what exactly you are planning to do with your overall deployment. 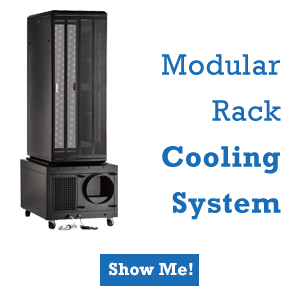 Given their unique strengths and weaknesses, both are excellent solutions in both large and small server rack deployments. If you know you’re going to have to restructure your cabling often, Velcro straps are probably your best bet. If you know you’re cabling is probably going to stay the same for a while and just really need a cheap solution, and need a lot of ties, zip ties are perfectly fine. In a lot of circumstances, you might find it necessary to use both of them in conjunction with each other. Whether you are Team Velcro or Team Zip Tie, RackSolutions has all of your cable management needs (and yes, we sell the real Velcro Brand). Zip Ties vs Velcro: Which is Better for Cable Management? 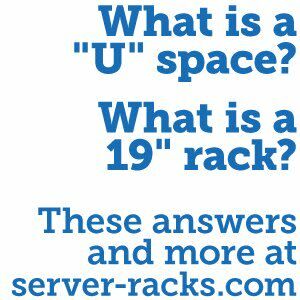 RackSolutions settles the long debate on whether zip ties or Velcro straps are better for server rack cable management. Find out which you should be using. Are Cable Management Arms a Thing of the Past?